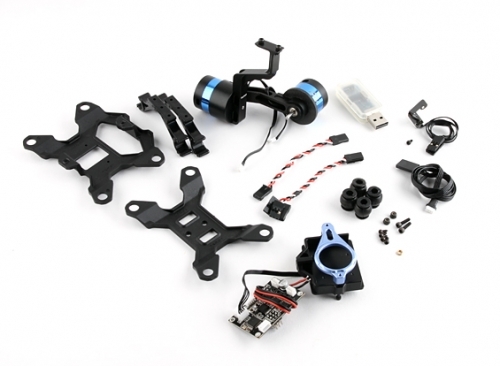 Tarot needs no introduction, their name is synonymous with quality and their 2 axis ZYX22 gimbal controller and T-2D v2 brushless gimbal for the GoPRO 3 is no exception. 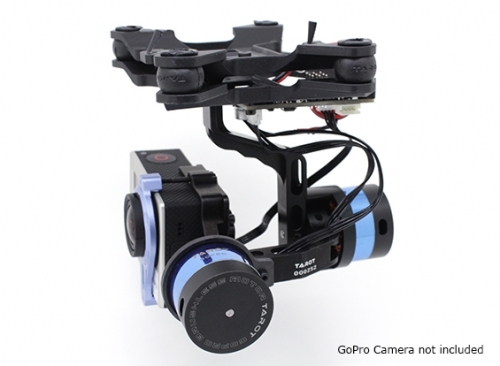 The Tarot’s T-2D v2 gimbal is designed specifically for the infamous commercial quality Gopro Hero3. Using 6061T6 aluminum alloy full CNC precision machining, and their incorporation of the brushless motors as part of the overall framework reduces size and weight. 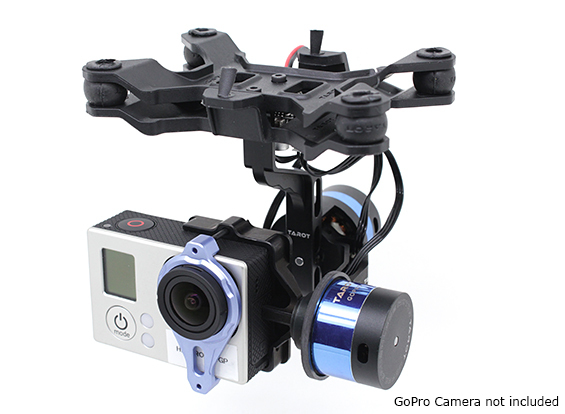 The T-2D has been engineered to perfectly balance out with the GoPro3 so the load on the motors is minimized and require almost no tuning. 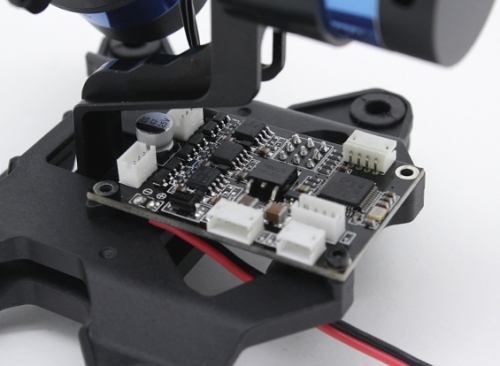 The T-2D v2 comes with a new style two layer vibration isolation mount and BLGC mount and has various new frame mounting options. The Tarot ZYX22 Brushless gimbal controller is unique from all the other run of the mill BLGC on the market. They removed the FTDI chip from the board to save size and weight, but is just as easy to use with the included USB adapter. The Tarot’s computer user interface for setup and tuning (if required) is the easiest and most intuitive seen yet. and support for standard RC input as well as S.BUS and Direct DSM2/DSMX input via a satellite receiver. 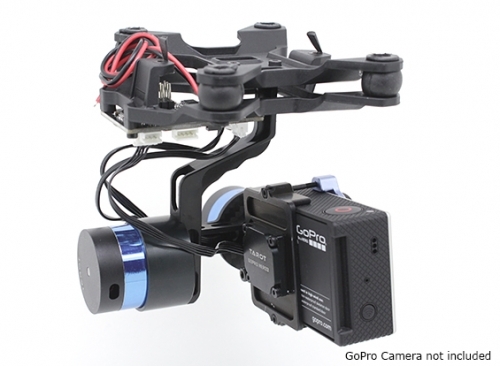 The T-2D combo is simply the most refined brushless gimbal for a GoPro 3 on the market.